HomeFitnessMake 2018 Your Best Running Year Yet! It’s a new year and whether you’re new to running or an experienced club runner, you’ll love these 5 tips for achieving your running goals this year. 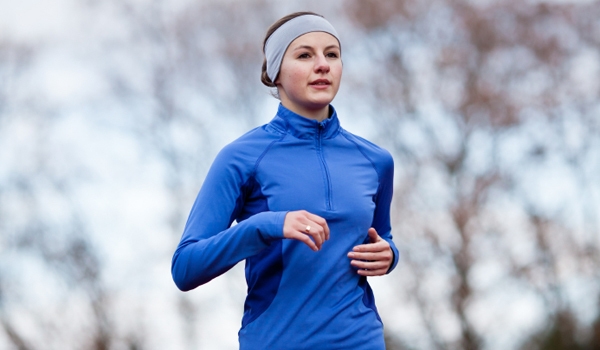 The more detail you can give to your running goal, the more likely you are to achieve it. If it’s a running race, ask yourself: what distance, which month, which race? Do you want to just finish, or do you want a certain time (or position?) If yours is a fitness or weight loss goal, be just as specific. How much weight do you want to lose, by when? How many inches from your waist? Even goals relating to new, healthy habits can be detailed out like this. Once you’ve drilled right down into your goal and fixed the details, write it all down. Make sure it’s written somewhere you’ll see every day. This could be on a chalkboard in the kitchen, on a piece of paper on a mirror, or in the front page of your diary. How about a screen saver for your phone or laptop? The key is visibility: the more frequently you see your personal goal, the more keenly you’ll focus on it. It’s the law of attraction at work! So now that you know what your running goal is for 2018, you need to let others know too! Tell friends, family, housemates, colleagues and online contacts. The more people you tell, the more likely you are to stick to the necessary training, nutrition and lifestyle habits. Consider using our running4women forums (you could even create your own journal thread) to keep people updated with your progress. Accountability is key to successfully achieving running goals. There are many tools you could use: mobile apps, trackers and on-body devices, websites, forums, journals or face-to-face accountability with a coach or running club. Whatever works for you, make sure you use it regularly. The power of accountability increases the more frequently you use it. Don’t follow the crowd when it comes to making running goals for 2018. Support is great, and being part of a team is wonderful, but don’t let other people influence what you choose as a goal for the year. Make it very personal to you. That way, if the training gets tough or your motivation starts to wane, you’ll be able to recall the very specific personal reason behind it all. And you’ll be fired up to keep going! We’d love to hear about your running goals for the year ahead. Why not head over to our forums or Facebook page and share your plans.